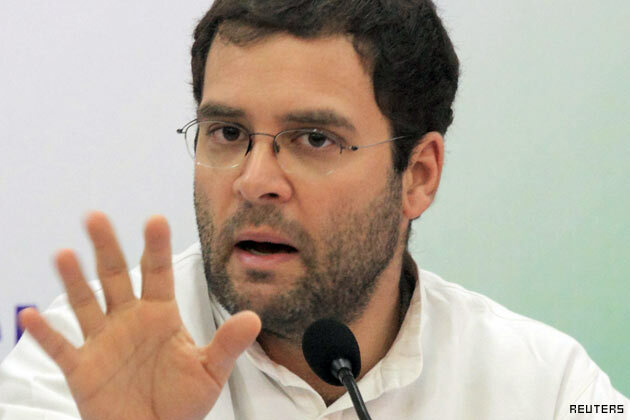 After a silent session of over 4-5 months, Rahul Gandhi came out with fresh attacks on Narendra Modi. He urged Indian voters to think beyond Modi along the lines of IIPM's Arindam Chaudhari. "I dare all Indian voters to think beyond Modi and chose me as their chief minister. Oh sorry... Prime Minister," said Rahul Gandhi in a candid interview with India Satire correspondent. He strongly argued "Actually, I find there is increasing dumbness among Indian voters who are found out on Twitter and Facebook tracking this guy who has done nothing great for India. I don't know why he restricted his reforms agenda in Gujarat only. Why did he avoid spreading reforms and investments to other states like Bihar, UP and Delhi?" "He could have also chosen Andaman and Nicobar, Lakshadweep and Puducherry for attracting investments. The name Vibrant Gujarat shows that his restricted mentality towards reforming only his own state and community while neither he believes in the India as a whole," asked Rahul Gandhi with strong voice. Rahul Gandhi also told correspondent that he feels shuddered while visiting Gujarat, as there is a stark difference in the development between Uttar Pradesh and Gujarat. He asked voters "I pledge to do better for entire India. I promise to implement new wave of thoughts and ideas against Modi's total focus on Gujarat. Therefore, I dare Indian voters to think beyond Modi." 1 comments for "Rahul Gandhi said Indian voters 'dare to think beyond Narendra Modi'"